Para Site is honored to present Ellen Pau’s first retrospective in Hong Kong, curated by Freya Chou. 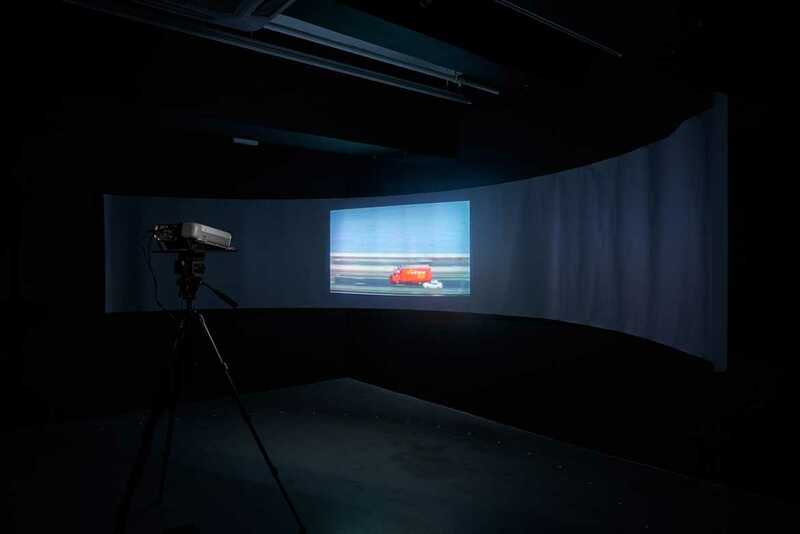 One of Hong Kong’s most influential and pioneering artists, the exhibition features Pau’s multi-faceted artistic practice stemming from the late-1980s to the present, including a selection of video works, archives, and a series of unpublished photographs. 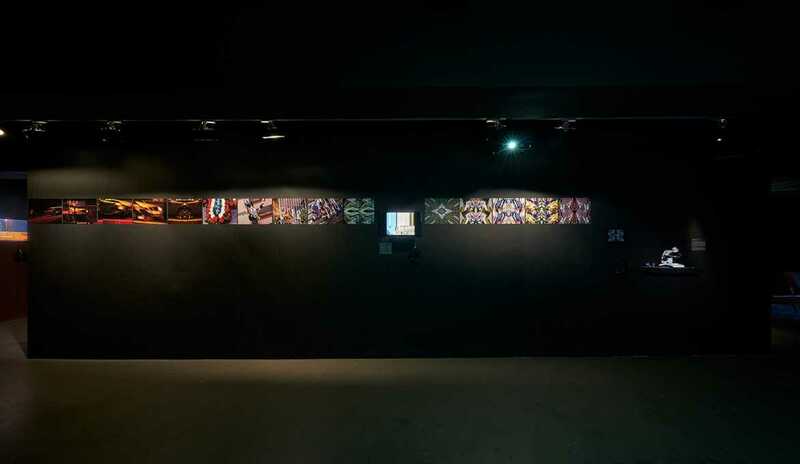 Three major video installations—two series of Bik Lai Chu, and Recycling Cinema – are presented in their original formats to illustrate the artist’s unique approach to the medium, within the technological limits of their time of production. 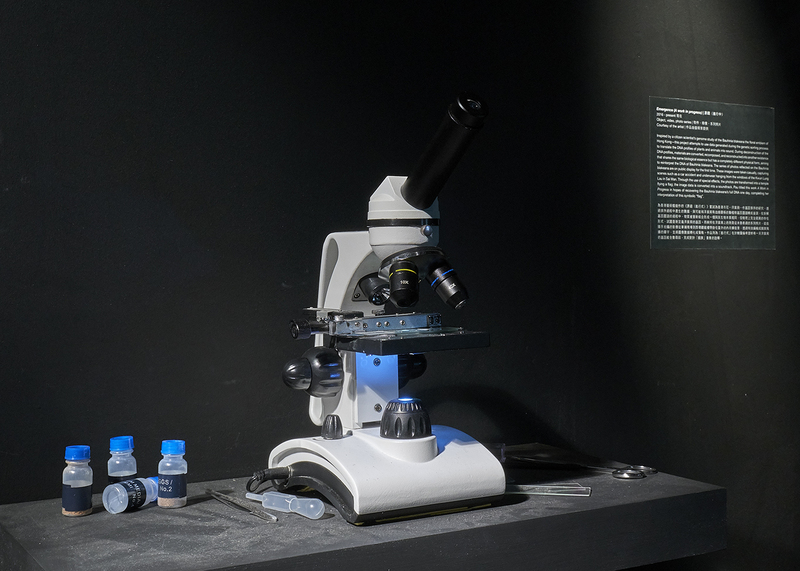 In this exhibition, eighteen of Pau’s most representative works are displayed from a media archaeology perspective – through the development of technology, rather than following the traditional chronological order. 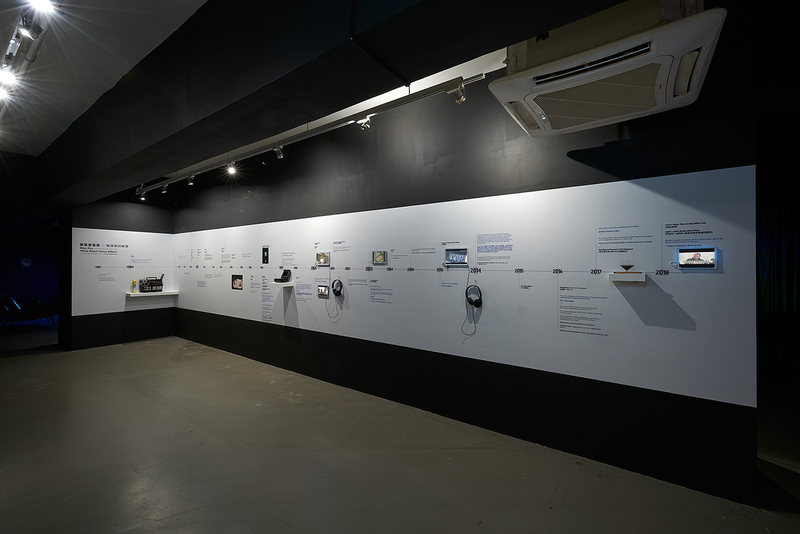 The exhibition hopes to examine and interpret Pau’s life and politics through this evolution of technological media. Its title begins with the concept of “home.” There is a statement in the “Great Learning” chapter in the Book of Rites by Confucius that reads: “Cultivate oneself, put the family in order, govern the state, and pacify the world.” To pacify the world, one needs to go through different stages, with the cultivation of one’s personal life as the most basic practice. The Chinese title is a wordplay between donggaa (house master) and gaadong (family possession) covering themes such as household chores, the status of housewives, and the identity of masters of the house. The corresponding English title—What about Home Affairs?—alludes to the Hong Kong government’s Home Affairs Bureau, thus opening up a discussion about the relationship between civil political affairs and personal well-being. The exhibition begins with Pau’s new augmented reality (“AR”) work I Don’t Have Time to Deal with Fear, which was triggered by the early 2018 discovery of a wartime bomb at a railway construction site in Wan Chai. 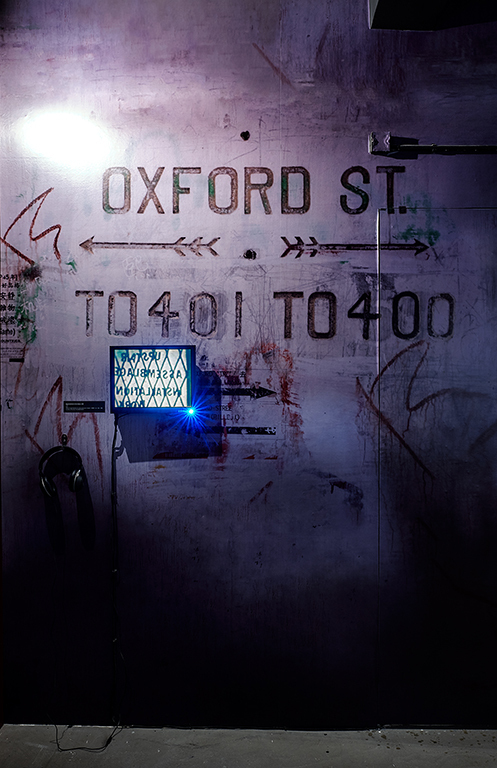 Through AR technology, Pau recreates Hong Kong’s urban legends along the Gin Drinkers Line (a fortified defensive line used in 1941 during the Battle of Hong Kong in the Second World War), seeking to re-evaluate one’s relationship with the city, as well as to interrogate the role that technology plays in mediating or whitewashing historical violence. 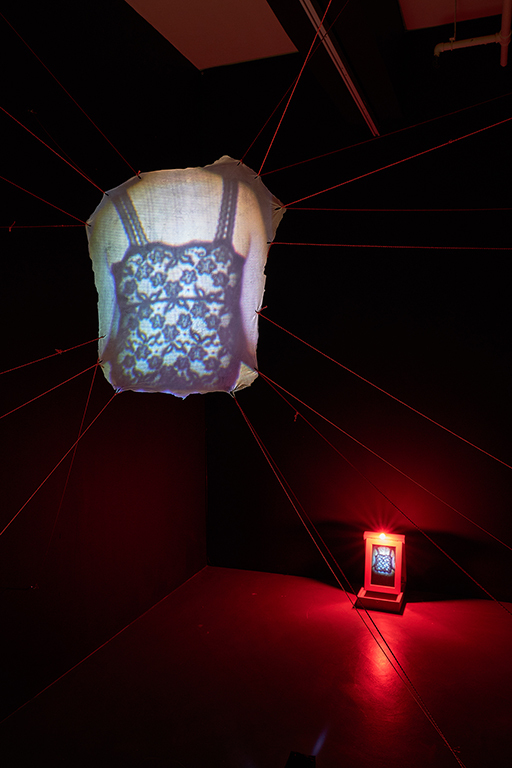 These remnants of historical violence are also visible in Pau’s efforts to connect her evaluation of gender issues with Hong Kong’s civil politics, transforming the female body into a battlefield for subjective awareness, while exploring and debating the truthfulness of machine-produced images. 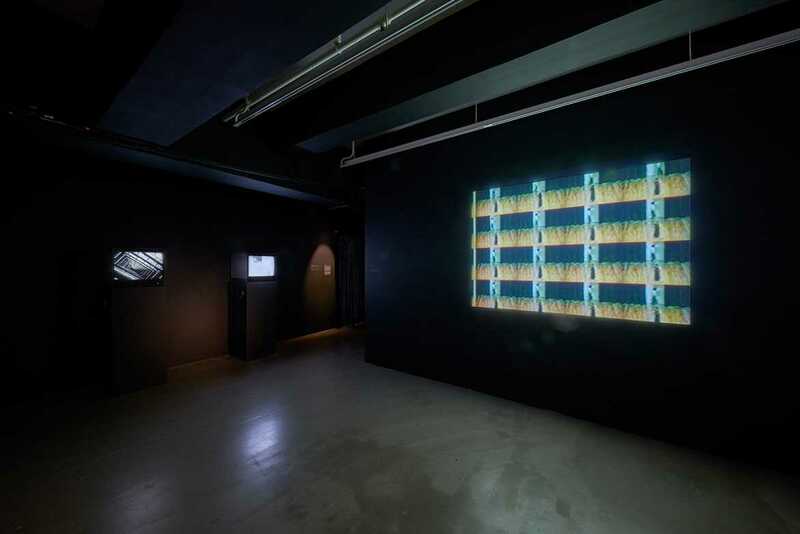 The exhibition reproduces two pieces from Pau’s Bik Lai Chu series, a group of video installations developed over the course of ten years. In this work, one can see the silhouette of a female who looks up every few seconds, accompanied each time by the sound of a pile driver. 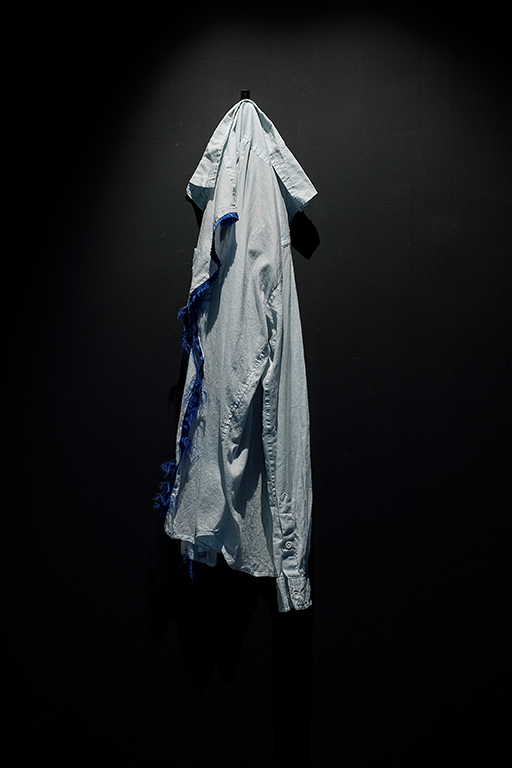 Through this persistent pounding noise, the artist questions how social norms and stereotypical gender roles sculpt, regulate, and restrain the female body. In the late 1980s, Pau began to collaborate with Zuni Icosahedron as well as with various choreographers, while filming many commercial music videos. 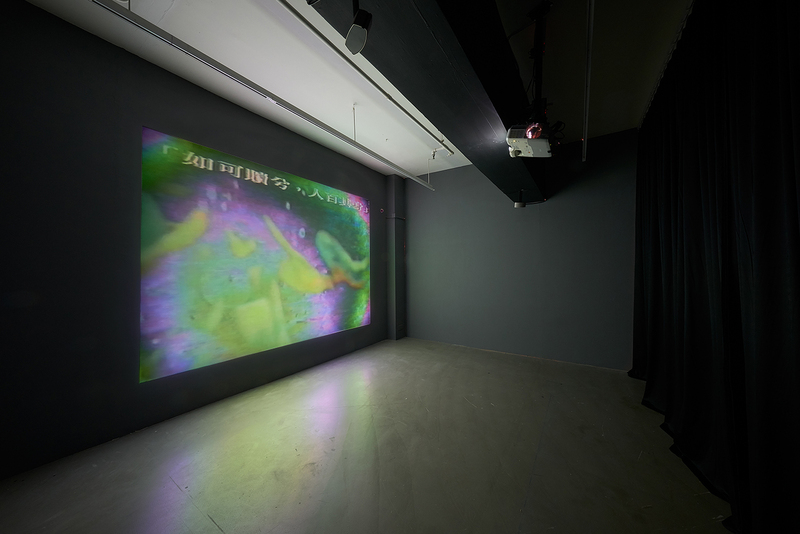 She combined the media screen, the dance stage, behavioural performances, and installations to develop a video dance language fusing popular culture and contemporary imagery. In 1989, Pau created Drained II, which attempts to explore the metaphysical beings both on stage and electronic medium. Through a constant loop and image segmentation, the work also reflects the physical anxiety of inhabitants living in a dense urban centre. The imagery, through the editing process, becomes the medium’s rhythm and its art form. 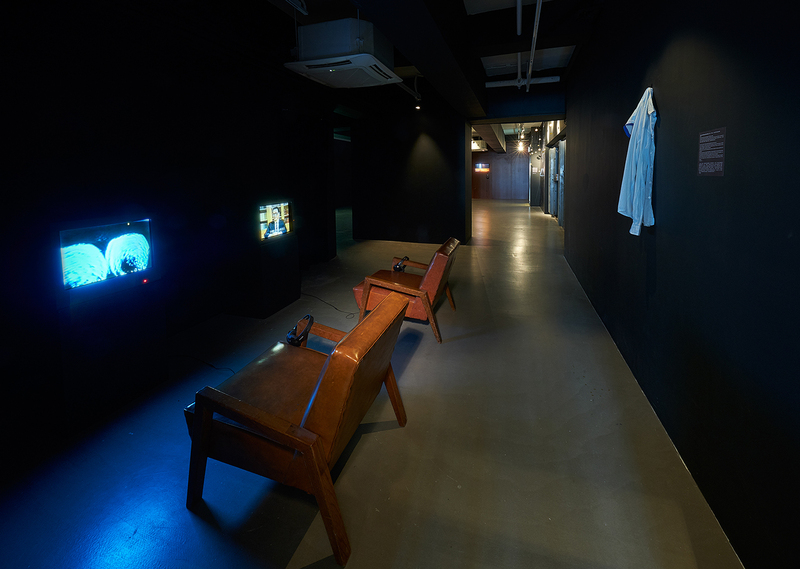 The political nature of Ellen Pau’s work is neither reflective of a nostalgic reminiscence of a past era nor a direct criticism of certain ideas, but instead, it is revealed through her very personal, autobiographical video diaries, which have evolved into a work embodying a collective memory. Through the composition and production of images, Pau explores and reflects on ways of creating a visual experience that transcends the camera lens and sublimates the ordinary into symbols of life and emotion. In TV Game of the Year(1989), Blue (1989-1990), Diversion (1989), Expiration (1997-2000), and Fanfare for the Common People (2010), Pau records the uneasy struggle in Hong Kong’s political context during transitional periods. 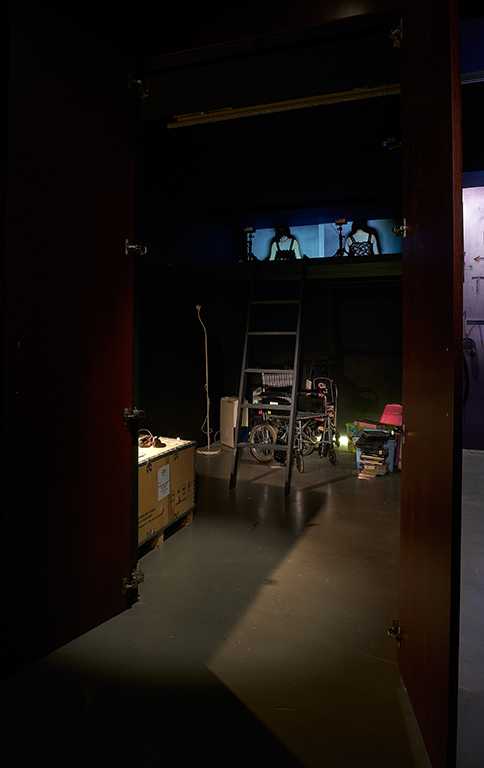 The rhythm of Hong Kong life and its historical and political events are all encoded in her visual works, with the masterpiece being Recycling Cinema, which represented Hong Kong in the 49th Venice Biennale. Recycling Cinema represents the pinnacle of Pau’s works that integrate motion-picture techniques and electronic noises. It is also her response to the evolving meaning of “home.” This exhibition presents once more the uncut original film, allowing us to feel the artist’s static gaze upon the changing cityscape, and compelling us to move beyond our simple spatial experience. Recycling Cinema records vehicles on a Hong Kong expressway over the course of 24 hours. 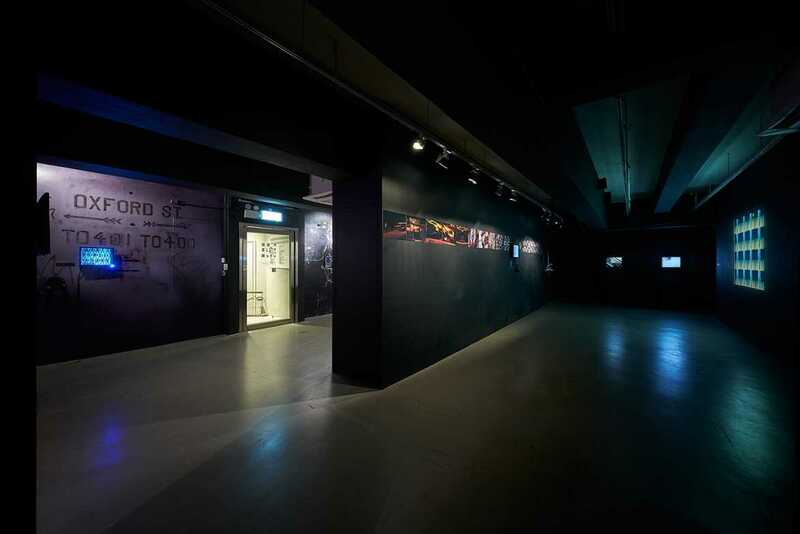 The exhibition restores the original filming technique by using an expanded projection to cast the recordings on a curved screen of 150 degrees, which breaks the boundaries of the images and creates a panoramic and immersive viewing experience. 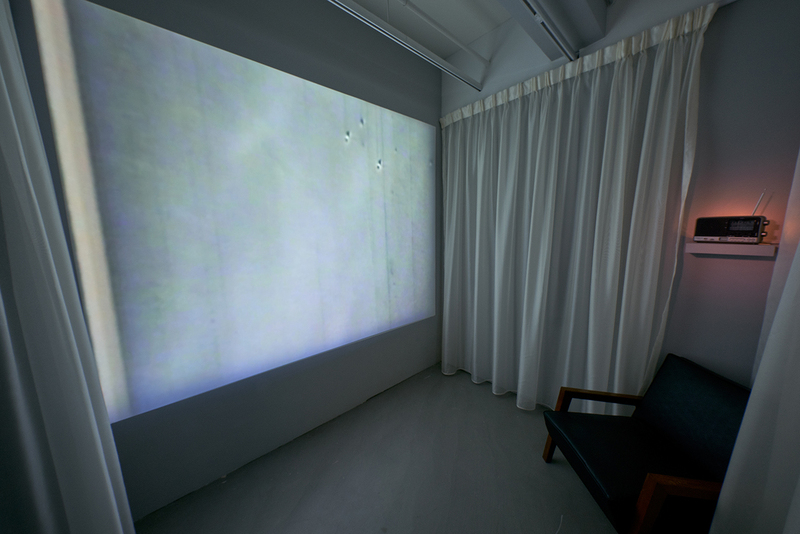 The speed and direction of the moving images are uncoordinated; the rhythm changes in response to a viewer’s breath or physical movement. Upon leaving the screen, an image travels across the room and returns to its point of departure, creating a sense of temporal and spatial imbalance. 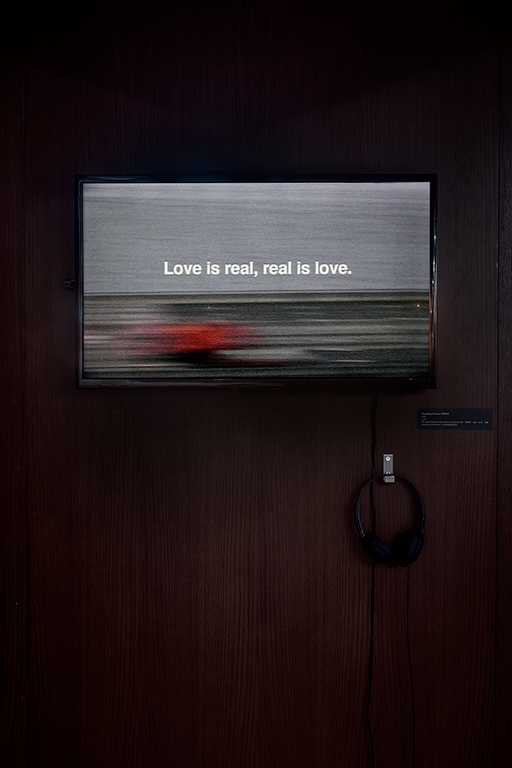 There is no dialogue throughout the film; only waves crashing, cars racing, and two lyrical lines from John Lennon’s Love (1970) emerging at the end: “Love is truth, truth love.” Recycling Cinema is a love letter, the curved space is the road home; if you walk along the on-screen arc, you should be able to find your way home. The scenery along the way reveals Pau’s criticisms of her urban experience; it is also a filial letter she penned to Hong Kong. 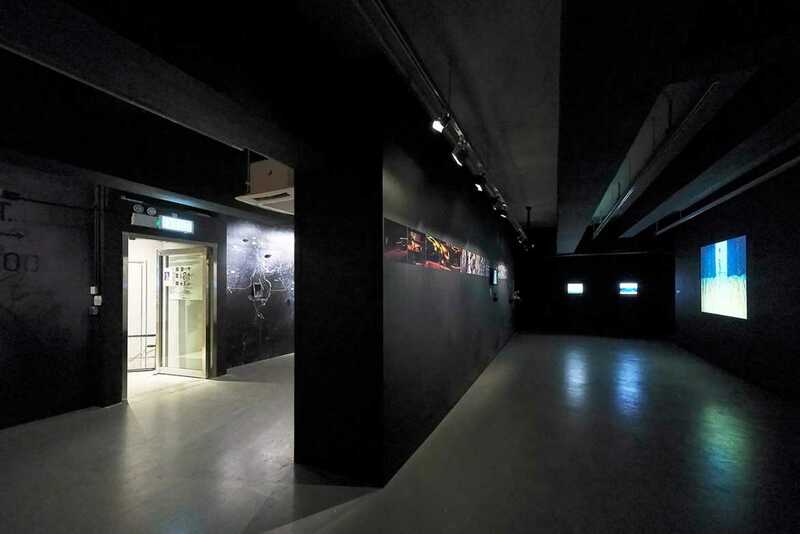 On the occasion of the exhibition, Para Site has also commissioned a substantial review by Lo Yin Shan, a senior cultural commentator and media expert, to recapitulate Pau’s creative trajectory over the past three decades. 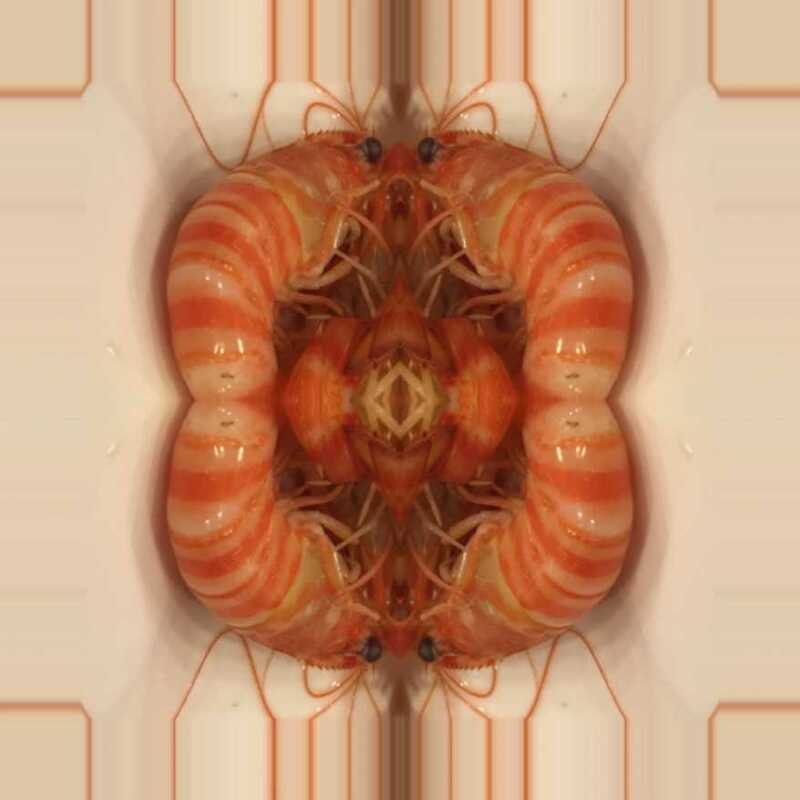 What about this shrimp image? 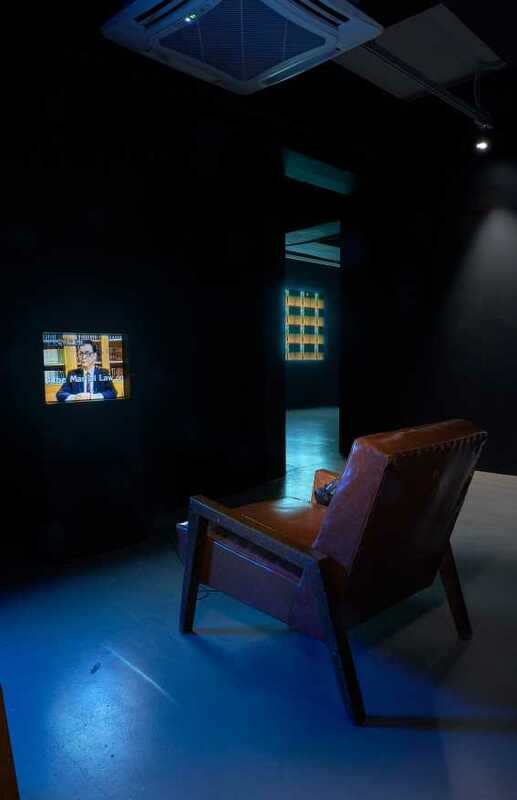 Weekend Marathon | Ellen Pau: What About Home Affairs? Ellen Pau was born in 1961 in Hong Kong. She graduated from Hong Kong Polytechnic University with a diploma in Diagnostic Radiography in 1982 and has worked as a radiographer in Queen Mary Hospital since then. Pau’s works have been extensively exhibited worldwide in film festivals and art biennials, including Hong Kong International Film Festival (1990), 8th International Film Festival for Women (Spain, 1992), Copenhagen Cultural Capital Foundation, Container 96 (Denmark, 1996), Asia Pacific Triennial of Contemporary Art (Australia, 1996), Johannesburg Biennale (1997), 49th Venice Biennale (2001), Gwangju Biennial (2002), among others. 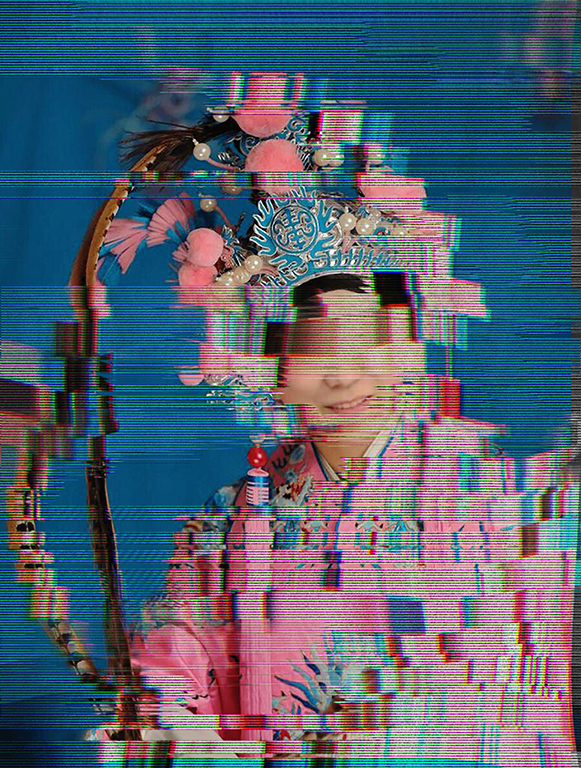 She co-founded Videotage, Hong Kong’s oldest artist collective, together with Wong Chi Fai, May Fung, and Comyn Mo in 1986. In 1996, she founded Microwave International New Media Arts Festival, an annual event that consists of exhibitions, conferences, seminars, and workshops. 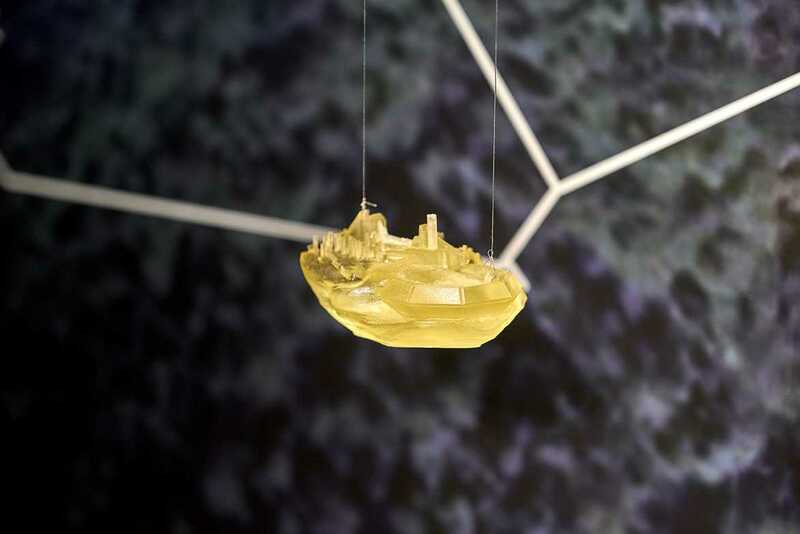 In 2014, Pau was appointed by the Hong Kong Arts Development Council as a representative of the Art Form Group in Film and Media Arts, and in the same year, she also served on the interim acquisition committee of M+ in West Kowloon Cultural District.